08 Feb February Finds: Who is the CVB? Lets celebrate the month of February with February Finds by highlighting some Finds in and around the lake area. 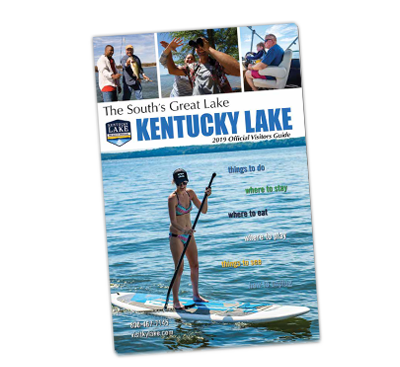 Find yourself learning interesting facts about the lake, fun things to see, do and experience. 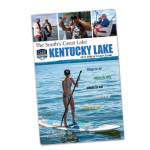 We will talk about great foodie spots you wont want to miss but first, let us introduce ourselves and tell you what the Kentucky Lake Convention and Visitors Bureau does and can do for you! The Marshall County Tourist Commission was formed in 1970 to impose a fee to guests renting hotel/motel and other accommodations for short term visits to the county. The money would be collected and sent to the Tourist Commission for the soul purpose of promoting and developing convention and tourist activities as stated in the KRS 91A-350 statute. The Tourist Commission is governed by seven commissioners appointed by different organizations and the County Judge Executive. Currently, our office employs two persons in a full time capacity and one part-time as well. One other important piece of our past to mention is our branding study and subsequent name change. In 2014, we hired destination branding company, ChandlerThinks, to conduct a county wide community branding study. This study provided us with insights as to how we can best market our county for outdoor recreation, and how our local communities might tie in better with us. We learned that outsiders had more positive associations with the physical landmark of Kentucky Lake rather than the invisible Marshall County line. It became clear that one of the first steps we had to take was to change our name. 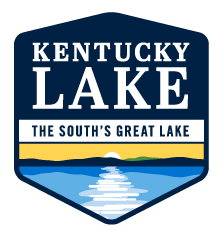 As a result, we transitioned to the Kentucky Lake Convention & Visitors Bureau. We were also very excited to see the Chamber of Commerce and the Economic Development jump on board and change their names as well. So whether you call us the Marshall County Tourism folks or the Kentucky Lake CVB, just know that we are one and the same! Randy Newcomb currently serves as the Executive Director and has held this position since 2002. Randy is a Marshall County native and graduate of Murray State University with a Bachelors degree in public relations. Throughout his tenure at the CVB, he has won several awards including KTIA’s Member of the Year in 2013 and our local chamber’s Citizen of the Year in 2016. He has also served on the executive committees of the Kentucky Travel Industry Association (KTIA) and the Kentucky Association of CVB’s (KACVB). Some of Randy’s roles include maintaining our annual budget, designing the travel guide, and representing our office at both the local and state levels. In his spare time, you will find Randy on one of our regional golf courses or at the gym continuing his fitness journey. Elena Blevins joined the CVB as marketing assistant in 2011. She graduated from Murray State with a Bachelors degree in Organizational Communication and also has a Masters degree in Human Resource Management from Mid-Continent University. 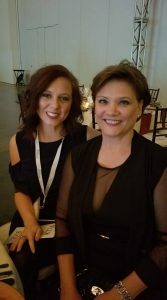 She was promoted to Marketing Director several years ago and recently attended the Southeast Tourism Society’s Marketing College Program. She works very closely with our local communities to coordinate a variety of events for locals and visitors alike to enjoy, while also taking care of the CVB’s accounting needs, social media marketing, and website management. When she is not working, you will find her out with her family, having a family fun day, at a soccer game, or enjoying the park. Christina Onnybecker has been involved with the CVB in some capacity since 2001. She served as a commissioner for the CVB from 2004 up until her semi-retirement in December of 2016. However, those of you who know Christina Onnybecker, know that she did not stay retired for long. She then joined the CVB as a part-time employee in January 2017. Her passion for tourism and small business is fierce and her dual perspective has proven to be invaluable. She has been dubbed our office manager and oversees our rack card service program and most recently, has become our Room Tax Administrator. In her spare time, Christina loves spending her days out at Bee Spring Lodge with her husband George, their dog Stetson, and surrounded by family and friends! 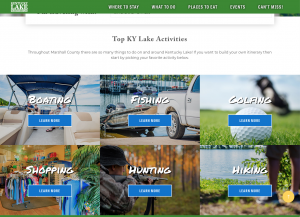 Now that we a little about how the Kentucky Lake CVB came to be and who is leading the CVB, let’s find out what we do for YOU! One of the easiest ways to look at us is as an extension of your marketing department. We take the dollars you give us and place advertisements in print and online publications such as USA Today’s Hunt & Fish Magazine, FLW’s Bass Magazine, Midwest Outdoors, Google Adwords, Travel Guides Free, etc. We also use these funds to publish an annual travel guide. We print 40,000 copies of the guide which are distributed to all of our welcome centers across the state and mailed throughout the entire United States and Canada! We have also create additional online presence for you through our new, user friendly website and social media platforms. We boost tourism spending by sponsoring events such as fishing tournaments, and help coordinate events within our cities that your visitors can attend as well. 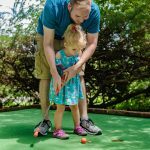 These are all fairly tangible ways in which you can see how our marketing efforts help drive visitors to the lake area. All of our lodging establishments receive free listings in our guide and on our website which is normally something you would have to pay for on other sites and for-profit platforms. We help provide a unified voice in Frankfort. Our office stays involved with the Kentucky Travel Industry Association, Kentucky Association of Convention and Visitor Bureaus and the Kentucky Department of Travel and Tourism. 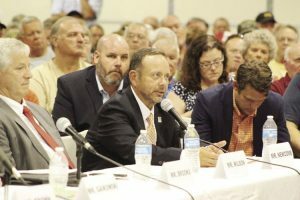 These state-wide organizations are able to provide lobbying efforts and utilize more resources to make sure that our industry’s interests are being protected as much as they possibly can in Frankfort. We like to compare what we do to a phrase made popular by John F. Kennedy, he said, “a rising tide lifts all the boats.” We feel when we do our job well and stay connected with our partners, our tourism industry prospers. We want to encourage all lodging businesses, restaurants, and attractions to come visit us! We would love to hear from you and see how you’re doing. For lodging businesses, it would be helpful if we knew your monthly occupancy rate. With this data, we can create better marketing plans throughout the year. Let us know of special rates you have going on or events happening at your location, or even special guests! Visitors, feel free to send us an email or Facebook message about your stay and your experience. Restaurants and attractions, we would be happy to promote specials and discounts that you offer. Our door is open to you. Take some time this month to find out what you want to do and let us know! 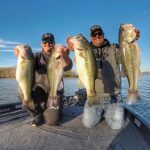 Lets work together to make 2019 a great year for Kentucky Lake, the Souths Great Lake!